Tom is a Partner in the Firm’s Labor and Employment Law Practice Group. Tom is an experienced labor and employment attorney with over 30 years of experience representing management in various employment and labor law matters including union organizing campaigns, collective bargaining negotiations and contract administration, grievances and arbitrations, and unfair labor practices and representation proceedings before the National Labor Relations Board(NLRB); Occupational Safety and Health Administration (OSHA) inspections, violations and litigation before the Occupational Safety and Health Review Commission; Fair Labor Standards Act (F.L.S.A) compliance, investigations and litigation; federal Davis-Bacon and state prevailing wage matters, as well as the defense of charges of discrimination before the EEOC, various state Human Rights agencies, and litigation in federal and state courts. Tom has extensive experience in the fields of building construction, building management and real estate development. Additionally, Tom is a nationally recognized OSHA expert and a Certified OSHA Instructor, Construction Safety and Health Standards as well as a Certified Instructor for the Building Owners and Management Institute (B.O.M.I.) for the Real Property Administrator (R.P.A.) and Facilities Management Administrator (F.M.A.) certifications. He is also a past recipient of The Award for Teaching Excellence from the New York University School of Continuing and Professional Studies, for his work as an adjunct professor in designing and teaching the course “Labor Relations in the Construction Industry” for the Masters of Science in Construction Program. Tom is admitted to practice before the United States District Court, Southern and Eastern Districts of New York. He holds a Bachelor of Arts from Queens College of the City University of New York and a Juris Doctor from Fordham University. 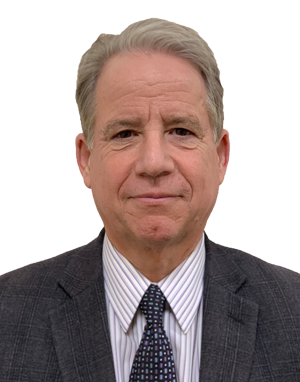 He is a member of the New York State and American Bar Associations, the Building Owners Managers Association of New York, and the Queens-Bronx Building Association.